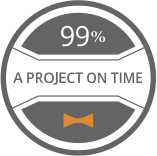 99% of our projects are finished on time, without outgoing the set budget. A client interacts only with a project manager without getting into contact with programmers and designer. The latter two, pay attention only to their duties while at the same time a project manager is responsible for the successful communication and distribution of workload. Let us all do what we know best! FoxiAD specialists‘ tools for communication are integrated with the Help Desk. 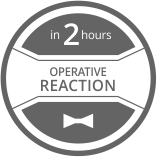 Therefore we can guarantee fast reaction to client‘s requests: operative aswers to the client‘s questions, consultations, information on the work process. Our clients‘ websites are granted with guarantee for work that is finished. 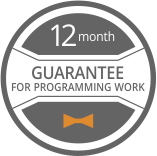 Although we are not afraid of mistakes and we always correct them, for the purpose of client’s self-education we introduced a 12 month term for this guarantee. In this way a client is encouraged to test their website, to notice mistakes and at the same time to work with their websites’ functionality on their own. 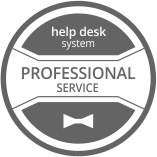 Professional service with Help Desk system. FoxiAD specialists‘ tools for communication are integrated with the Help Desk system, therefore messages that clients submit do not get lost in personal mail. Clients‘ messages first reach attending project manager who then distributes workload to particular specialists. In this way we make sure that clients‘ questions will be answered by professionals. Systemic register for clients‘ messages is a great way to observe a time of reaction, work process and quality of liable employees‘ work. FoxiAD team cherishes the company‘s traditions and high quality processes of communication. 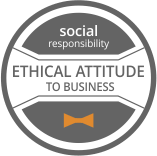 We follow the path of ethics and social responsibility as well because good reputation and true recommendations are the only ad for FoxiAD. Within our company we create inspirational and flexible environment which is good for a graduating Proactive student, a Young professional who wants to realize one‘s potential and for Mom or Dad as well because the symbol of FoxiAD – the gentleman dog-fox is married and have children himself  Team of FoxiAD believes that kindness comes back. Perhaps not directly to us, but to others for sure.